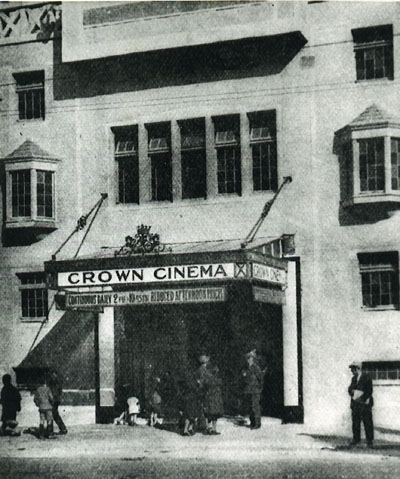 Opened 1930 by JM Drummond on the site of the earlier Crown cinema, designed by architects Lennox & McMath, with seating for 900. Sold to Associated GP Cinemas and renamed in April 1948. Closed September 1970. Demolished 1974. Photo courtesy of the Gould Theatre Collection.